Tired of teaching your older family members how to use their smartphones every time you visit? 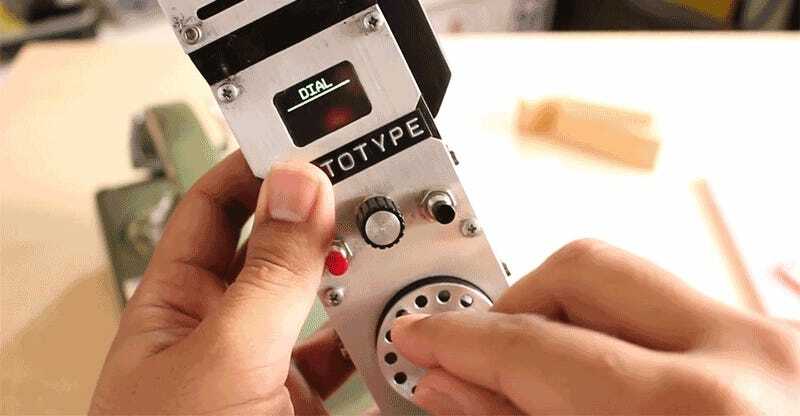 Just do what YouTube’s Mr. Volt did and build a custom cellphone out of aluminum, brass, and wood with a working rotary dial that’s reminiscent of the ancient land line phones introduced back in the 1920s. The brick-like form factor and hefty weight of this prototype is sure to be comforting to your grandparents. And with an equally primitive feature set—including a tiny OLED display, enough memory to store one phone number, and an FM radio—there’s no chance your family members will get lost in menus, accidentally dial 911, or somehow factory reset this cellphone.